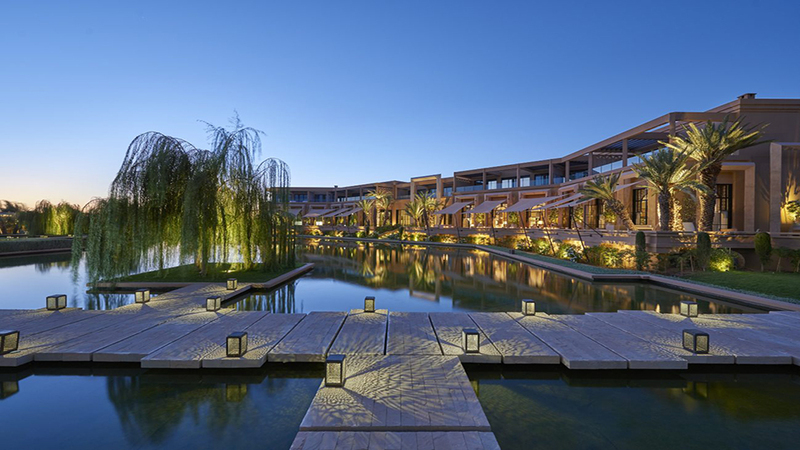 We usually cringe at behemoth resorts like Mandarin Oriental's latest outpost in the backdrop of the Atlas Mountains that's 10-minutes outside the Marrakech medina. But it's hard not to fall for this serine yet dramatic architectural property takes on competition like nearby Four Seasons, Aman and Taj Hotels. With a collection of suites and private villas, 25-acres of meticulous gardens and olive orchard define one of the prettiest properties you'll find outside of Palmerie. 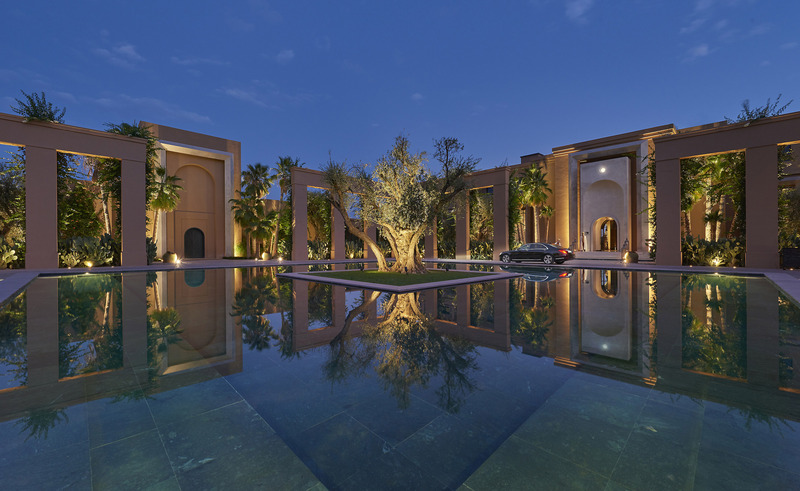 Three restaurants include poolside dining, lobby brasserie and gourmet Mes'Lalla that puts a fresh spin on Moroccan cuisine under chef Meryem Cherkaoui worthy of a visit even if not staying at the hotel. 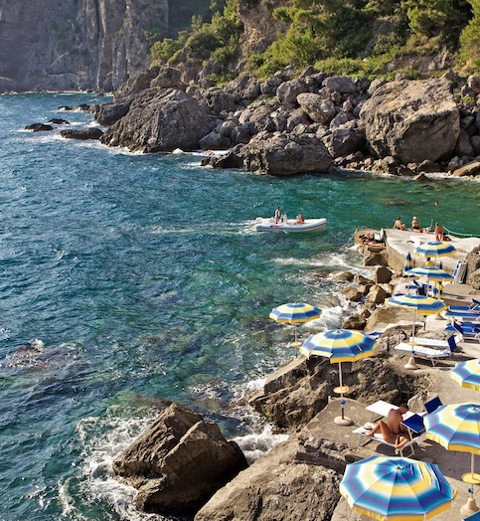 Along with spa-minded lobby and two eateries, a dramatic pool deck with terrace is ideal for late evenings ignited by live music and the sounds of cicadas. 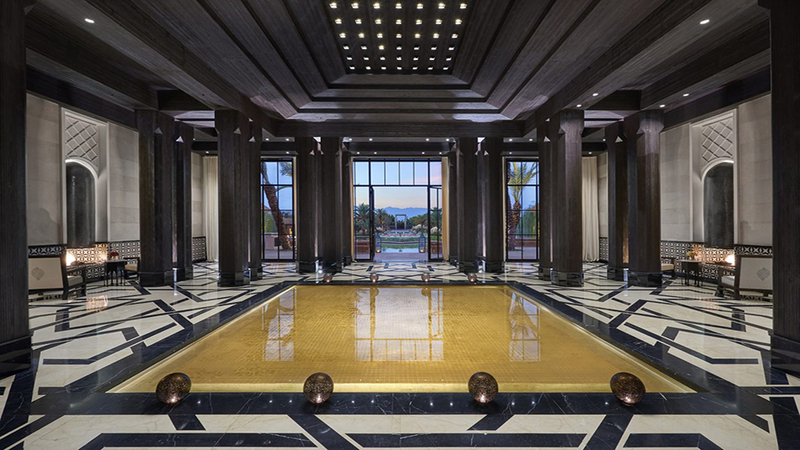 An equally impressive spa features private gardens, outside treatment areas and two luxurious Moroccan hammams that's one of the best spa options in Marrakech. 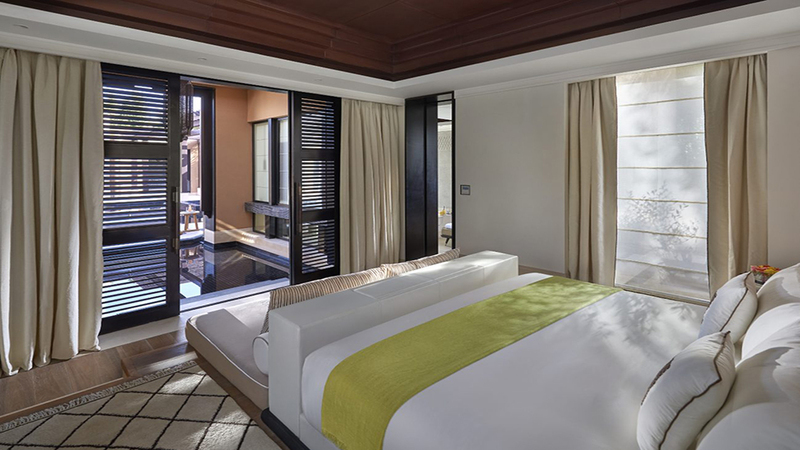 A mixture of villas and suites, Mandarin Oriental features a hedonist collection of upper level room amenities like jacuzzi with open-air shower set within a private walled garden or private heated pool in its largest suite. 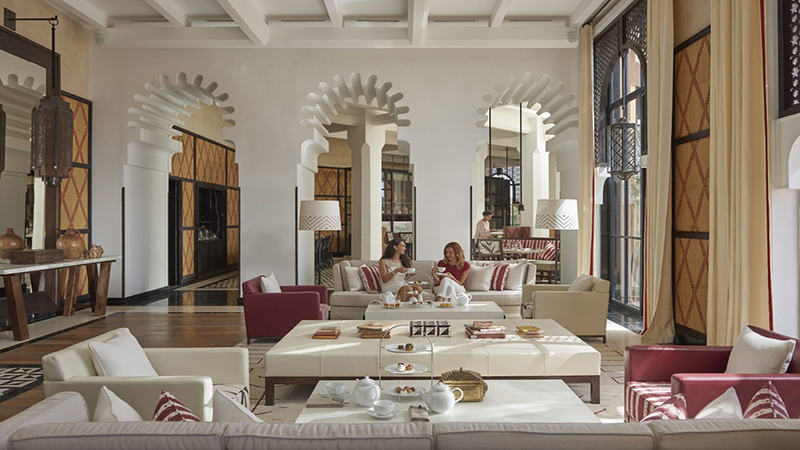 Interiors pair Moroccan decor and contemporary design for a neutral, spa-inspired aesthetic that at times feels and looks more Bali than Morocco. All rooms offer goose down bedding by Ploh and luxury linen by La Maison de Blanc as well as bathroom amenities by Nectarome. 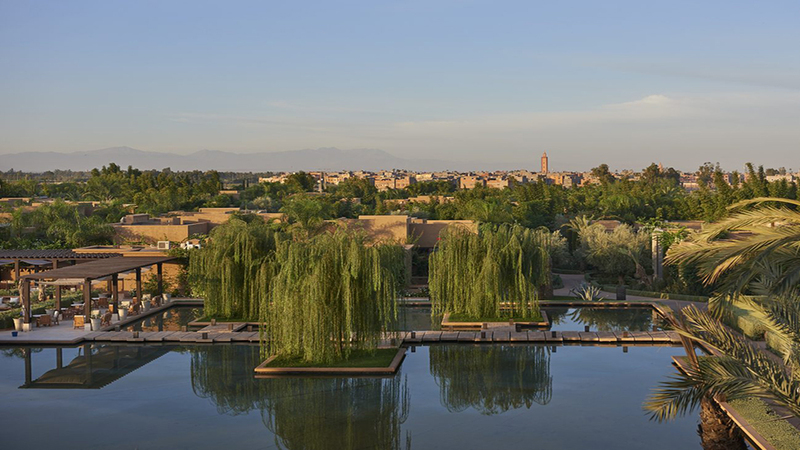 While a bit removed for a first time visit to Marrakech, an idyllic spa getaway awaits those that have already seen and experienced the sights of the medina.